I’ve started a new project with a good friend (Logan Beaux) called Practically Culture. 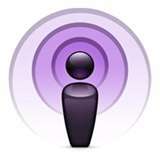 It’s a podcast and a “videocast” (funny how I feel like I need to put “videocast” in quotes and not podcast). Basically, it’s a series of 10-15 minute YouTube videos where Logan and I review the latest pseudo-culture of the week. You know, stuff that many wouldn’t consider real culture, but it may as well be culture for this day and age. Hence the idea for our name: Practically Culture. So I work on the Xbox team at Microsoft. And I focus on the strategy and portfolio of games coming to Windows 8. Today is a good day because I’m finally able to share some of the details with you on this! Google+ launched nearly a year ago, and I remember it vividly. It seemed like such a cool concept: an answer to all the annoyances that were found throughout Facebook. I got in on the action early, before the wider unveiling. And I found myself meeting new people and engaging in fascinating conversations. The Google+ crowd was savvy and smart. Granted, much of the conversation initially was pretty meta. We were using a new tool to discuss how cool it was to be using a new tool to discuss how we were using it… that sort of thing. Unless you’ve tried really hard to avoid tech news, you probably know that Netflix made two big announcements within the past few weeks: 1) it’s splitting up it’s DVD-by-mail and streaming media businesses and 2) it’s splitting up it’s DVD-by-mail and streaming media businesses. The first time it made the announcement, it was just a price increase. If you wanted to have both services, you had to pay much more whereas previously you paid one price for both. The second time it made the announcement — get this — audaciously as an “apology” for lack of foresight for the consequences of the first announcement, it announced that not only where both services separate, more expensive prices but also that both services would be run now as independent companies with no integration. Back in 2008, I was finishing up my MBA at Purdue University when an opportunity presented itself. I was the teaching assistant to Scott Jones (yes, that Scott Jones) who was, at the time, teaching an entrepreneurship capstone course. A PhD student approached me with a demo of patent pending technology that had already received $50,000 of funding and asked if I’d be interested in putting together a business plan. I said yes. We entered three competitions in the area and placed first in one and third in the other two. Great. 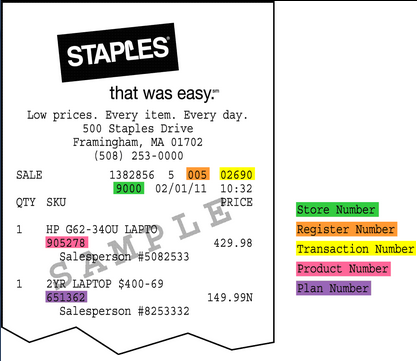 A new task to do, and this was just after I finished filling out a paper form for the “Staples Rewards” program. You know, the other thing that gets pushed on you when you buy something. “Fill out this form, and you’ll get X% back the more you buy.” It doesn’t cost anything, and who knows, maybe I’ll shop at Staples again at some point, right? Either that or I’m just a push over in person. Is Accessibility About to Overtake Ownership? Greetings from the sky! I’m writing this on my flight back to Seattle from Boston and noticed that the tech-news-o-sphere is all abuzz about Amazon’s new cloud music products recently announced. 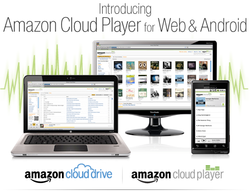 In a nutshell, Amazon automatically now is giving its MP3 customers accessibility to their music anytime and in any place via an online digital media locker (“cloud drive”) and an online music “cloud player”. Unlimited Matters: Goodbye, Mozy. Hello, Carbonite. Powered by the Zeus Theme.Copyright © 2019 Bob Caswell · All Rights Reserved.